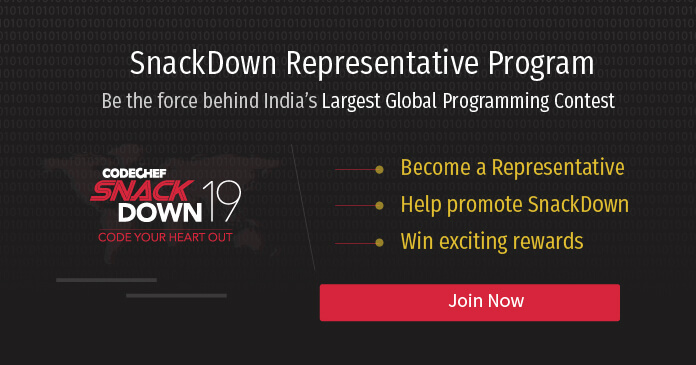 Introduce CodeChef SnackDown 2019 in their institution/organization. Carry out the necessary marketing campaigns for SnackDown 2019. And the bragging rights of being the SnackDown 2019 representative for your campus/organization.